A healthy eating lifestyle means cooking and eating at home, preparing good meals with food that is good for you. A delicious meal doesn’t have to take hours to prepare, and the Maxam® Vegetable Cutter will save you time and money. This vegetable chopper is easy to use, and will cut food waste while speeding up food prep chores. The Maxam® Vegetable Cutter is one of the most versatile kitchen tools you’ll own, and the 5 stainless steel cones included will do all manner of slicing and chopping chores. Includes 5 T304 stainless steel cones: Shredder, Stringer, French Fry Cutter, Sliver, and Waffler. For your safety, there is a protective finger guard that can be removed for easy cleanup. 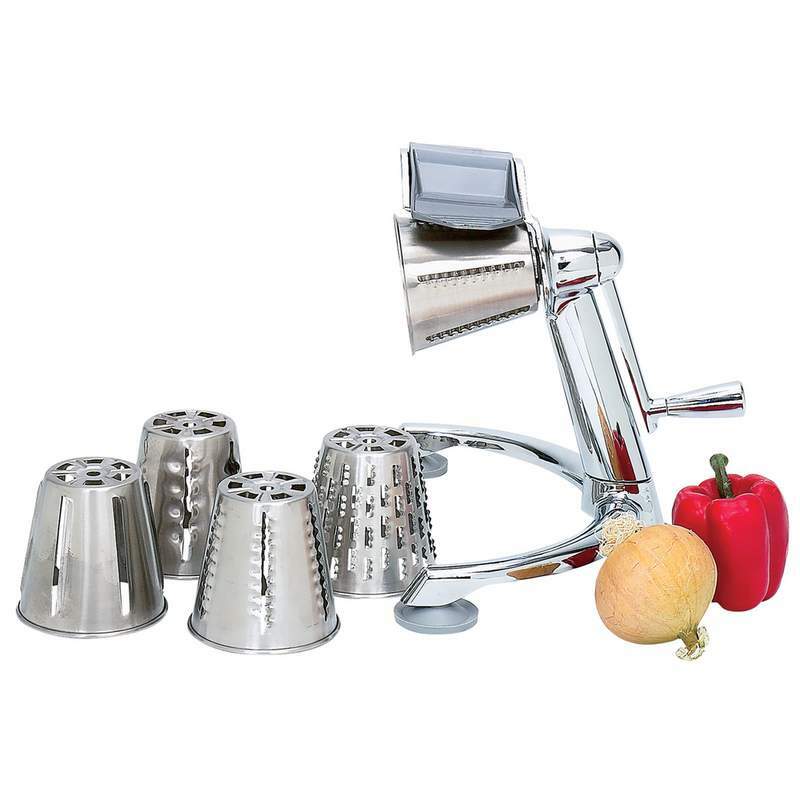 Vegetable chopper features a professional 3-leg suction cup base for a firm grip on table or counter. Heavy-duty chrome finish. Cones are dishwasher safe. Limited Lifetime Warranty. White Box.